John Singer Sargent. 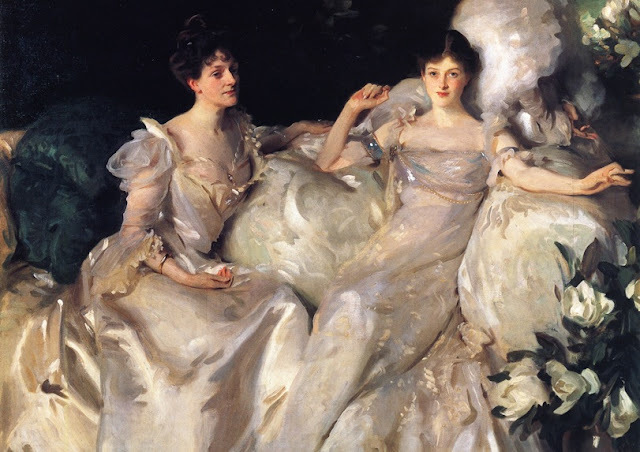 Detail from The Wyndham Sisters: Lady Elcho, Mrs. Adeane, and Mrs. Tennant, 1899. I love novel of manners because I'm secretly deathly afraid of doing anything rude or embarrassing, come to think of it this is probably why I love Downton Abbey so much. Best to follow etiquette from 100 years ago, then noone can claim to be offend. I watched the Martin Scorsese movie adaptation after I finished the book and it is ridiculously good, I could watch it every night and be happy to let it bruise my heart over and over until eternity. The Magician King by Lev GrossmanI hated The Magicians so much it was all I could do to not throw my library copy into a fire. But the storyline in the last few chapters interested me enough to read the sequel and I love it, full of adventure and magic now I can't wait to read the third installment in the series. Bronzino. Detail from Portrait of Lucrezia Panciatichi, 1545. 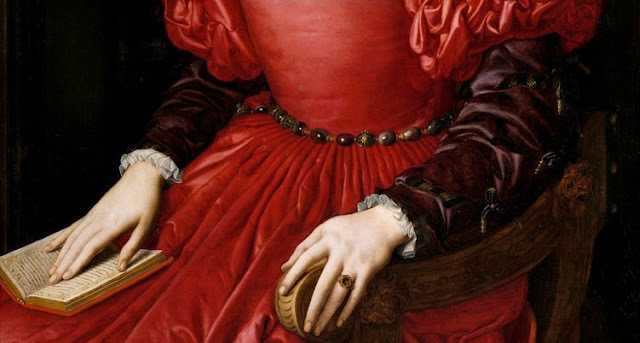 Under sumptuous law, only women of the noble class were allowed to wear the colour red, shown here in a Renaissance gown of scarlet and dark crimson silk created using the rare dye cochineal. The Perfect Red by Amy Butler Greenfield A perfect book if you're into fashion history, emphasis on history. I had previously read Valerie Steele's The Red Dress and I loved the intro essay in it but the rest of the book were just pictures (gorgeous pictures, mind you!) but I was hoping for something more meaty. I found what I was looking for in this microhistory on cochineal and red dye in this non-fiction, it manages to be both riveting and informative. 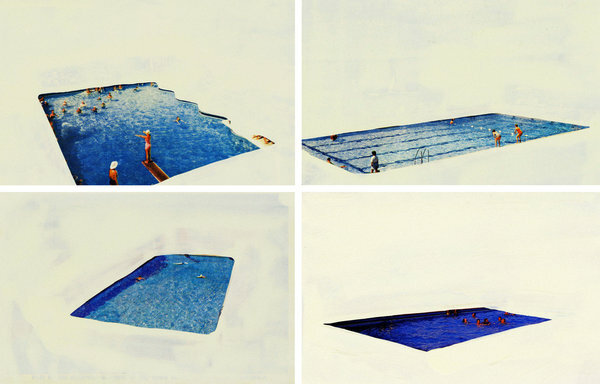 Swimming Studies by Leanne Shapton. 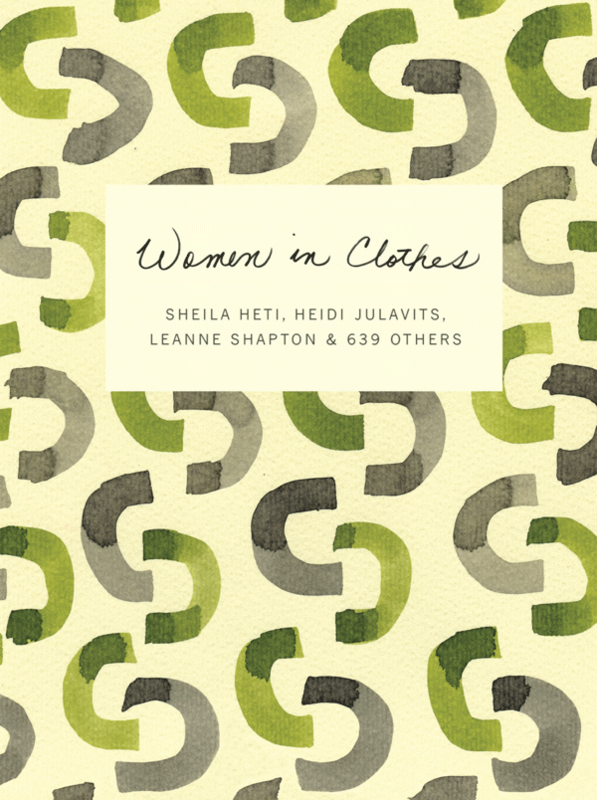 Best book I've read this year. It's a memoir on the author's early years as a competitive swimmer and it's beautifully personal. Shapton is exactly the kind of person I want to be, disciplined, nostalgic, a beautiful illustrator and a poetic writer. All of the Toronto references in the book are a wonderful bonus as well. The book makes me think about all the times and places I've been swimming in, notably one summer in which my mother spent a lot of money for me to train with a swimming coach one on one, I'm not really sure why maybe because she never learned to swim herself. But I never really had the aptitude for it and to this day I still only doggy paddle whenever I'm in the water (but I do love to be in the water).